One real aspect of life is everyone’s share in pain and loss. From the time children lose a much-loved game to the physical and emotional pain we endure or to the shocking death of a loved one, we all share in the common and natural human problem of pain, loss, and death. All living beings have an end just as they had a beginning, and that end significantly affects those left behind. Of all human experiences, losing a loved one and emotionally recovering from that death remains as one of life’s greatest challenges. Much of the challenge is the complexity, persistent questions, and readjustment in life after the death of a loved one. Despite the challenge, people are resilient, and hope for the future attracts them into affirmation of the inherent goodness of life. The devastating death of a loved one often provokes various kinds of natural human feelings and reactions. Some people experience physical stress, fatigue, sleeplessness, nausea, irritability, or relief (when the deceased had endured much pain and suffering) along with emotional fear, guilt, loneliness, helplessness, sadness, or anxiety. Any one or all of these experiences can be a natural experience associated with death. Other persons question how they might be able to go on living without the loved one. Others react with intense anger at the one who passed from this life, anger at the circumstances of the loss, or anger at oneself for a perceived failure toward the deceased. Still others, in the context of surprise or distress, refuse to believe that their loved one is gone. While such reactions are natural and common, simply saying that all people share in these feelings does not offer consolation or healing for an individual who feels the pain of loss. No one really knows how another person feels, and in their own time, each person must find his or her own way in adjusting and recovering from a loss. Though we all share in the universal experience of losing, human nature and ingenuity move us to recover and rebuild our lives from the losses. Obsessive and long-term grieving about the death of a loved one, however, can be destructive to living well and flourishing. ath as part of life and reflective acknowledgment of one’s own struggles with it are positive efforts toward physical and emotional health. Recovery and healing often begin at the time of death through the variety of practices, visitations, and services related to burial of one’s loved one. Meaningful and time-honored ritual—whether one’s family, community, or faith tradition—can provide many people with a sense of support and order for their own lives. At the death of a loved one—whether expected or unexpected—a common response is what do I do now? Some actions discussed below may seem appropriate. essence of a loved one’s life. Some people discover that photographic histories and video histories of a loved one depict beautiful, unique memories that respect the deceased. How widely distributed family and friends share such information varies according to the personality of the deceased and the family’s interests. Second, social experiences aid in one’s recovery from the death of a loved one and in one’s honoring of the deceased. Maintaining positive relationships with family and friends is vital for overcoming grief and in memorializing the deceased loved one. By nature, people seek various levels of social interaction, and in a time of loss, family and friends who generously listen or who simply are present provide much-needed support and empathy. Third, many people treasure the comfort and solace that their personal faith or religious tradition offers. One’s religious community often is a primary source of support and encouragement. Some rediscover or come to a new understanding of faith after the loss of a loved one. In this sense, death likely has the greatest singular power to transform the living. Bennie R. Crockett, Jr., is professor of religion and philosophy, and co-director, Center for Study of the Life and Work of William Carey, D.D., (1761-1834), and Vice President for Institutional Effectiveness and Planning, William Carey University, Hattiesburg, Mississippi. 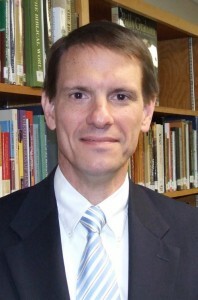 Crockett holds a Ph.D. in philosophy (University of Wales, UK) and a Th.D. in Greek New Testament (New Orleans Baptist Theological Seminary). During graduate school, Crockett worked as a Night Manager in Lake Lawn Metairie Funeral Home, New Orleans, and by experience, learned about the grief process by serving families in a variety of circumstances. This entry was posted in Uncategorized by wesley. Bookmark the permalink.